According to a report in Times of India, the much talked-about Gulf schedule of the eagerly-awaited Saaho is likely to get underway in mid March. It was supposed to begin earlier but authorities in the UAE refused to grant permission for the shoot. However, now it seems that things have been sorted out. The team is likely to shoot some high octane action scenes during this schedule and is trying to maintain secrecy about it. Saaho is touted to be an action-thriller and is being directed by Sujeeth. In it, ‘Darling’ will be in a new avatar. Besides Prabhas, it also features Shraddha Kapoor in the lead. 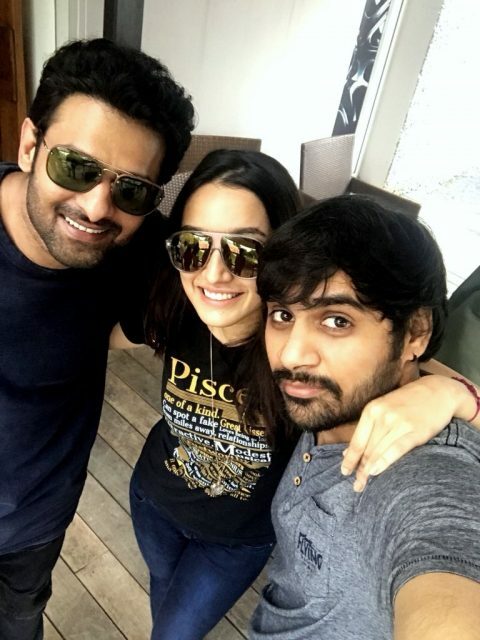 Sometime ago, Prabhas had said that the Kapoor girl has a crucial role in the film, and not just a cameo. “I have never worked with a Bollywood actor before and she is the best choice for the role. We are very lucky to have her on board. Her character is not just like coming and going or just there for the songs. The character is very important and adds a lot of weight to the story. It is one of the most important characters in the film. She has some amazing action sequences also. It is a very strong character,” he had told PTI. The supporting cast includes names like Neil Nitin Mukesh and Jackie Shroff. Sometime ago, the Kaththi baddie had said that he will be playing a ‘mega villain’ in Saaho. “This is a larger-than-life film and, post-Baahubali, the entire nation is rooting for Prabhas. And where there is a mega hero, there will always be a mega villain too. My character has many shades like every other character in the film,” he had told a leading daily. So, are you looking forward to Saaho? Tell us in the space below. Hurry up! Prabhas’ fans want to see him act again!